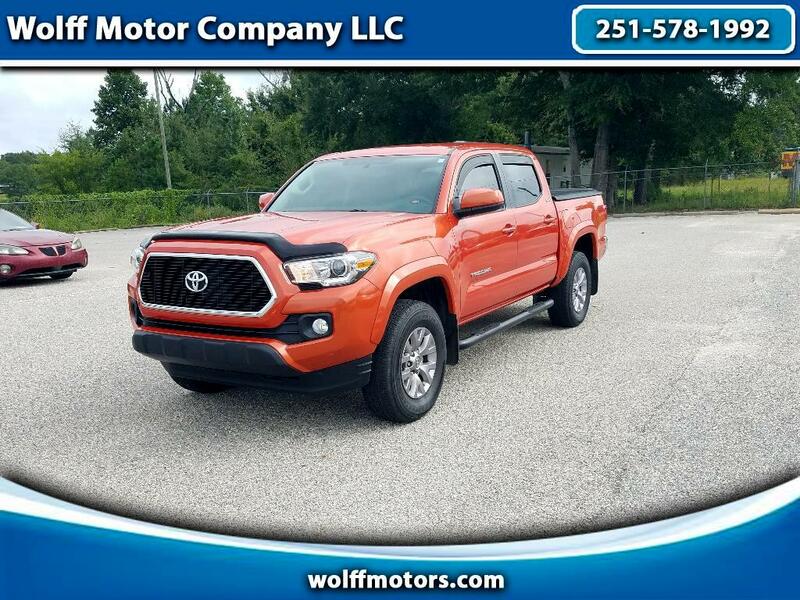 Check out this Beautiful 2016 Toyota Tacoma SR5 Double Cab Pickup Truck. This truck is equipped with a 3.5L V6 that has plenty of power for pulling your trailer or boat. Enjoy the comfort of riding in style with this very attractive orange. Safety features include bluetooth, Backup Camera, and airbags. Call us today and speak with one of our sales professionals and schedule your test drive at 251-578-1992.